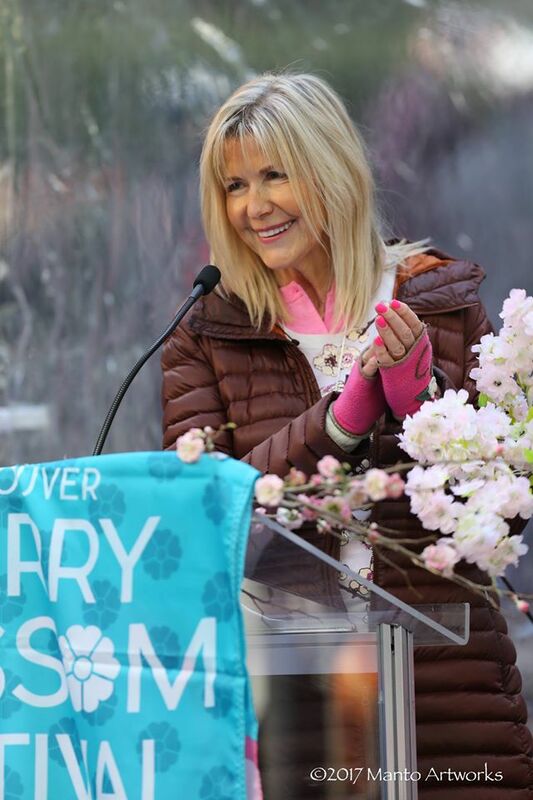 Linda Poole founded the Vancouver Cherry Blossom Festival 13 years ago now with the goal of bringing people together through a shared appreciation for the beauty of the Sakura tree. Since then, the festival has truly taken off, and today, popular cherry blossom locales swarm with tourists and Vancouverites alike. After a long, grey Vancouver winter, the sight of the cherry blossoms in bloom is akin to the power of a gloriously sunny day. This is part of what inspired Linda to found the festival—to celebrate the end of winter. To uplift, pull people out of their maudlin winter blues, draw their attention to the beauty that surrounds them, and get them to wake up already! She explains all this with a smile in her voice, and her audible joy is infectious. One of Linda’s favourite memories from a past festival occurred at Queen Elizabeth Park. A tour bus full of people had just disembarked, and there was a group of ladies dressed in pink, modeling, showing off, and dancing under the cherry trees. The joy of that moment epitomized the spirit of the festival for her. The Sakura Days Japan Fair took place this past weekend to great success, and the next event on the festival docket is the Sakura Night Gala on Sunday April 22nd. The Gala will feature Japanese cuisine served up by seven of Vancouver’s most celebrated chefs. In addition, cherry blossoms will take center stage as the key ingredient in many dishes as well as in a special cocktail designed by head bartender Jay Jones of Vij’s restaurant group. If you’re interested in attending, tickets are still available until this Thursday, April 19 at http://www.vcbf.ca/community-event/sakura-night. 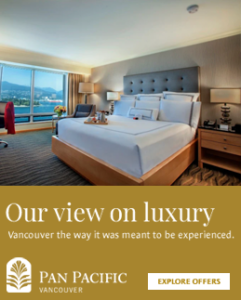 At the Pan Pacific Hotel, the Cherry Blossom Festival holds a special place in our hearts. Our very own General Manager, Stephen Peters, was a chairman on the board of the non-profit society for many years, and is a strong supporter of Linda Poole and everything she has worked so hard to accomplish. Be sure to check out our cherry blossom contest on Instagram! We are offering a room and breakfast to whoever posts the most beautiful cherry blossom picture with the #panpacificblossom.